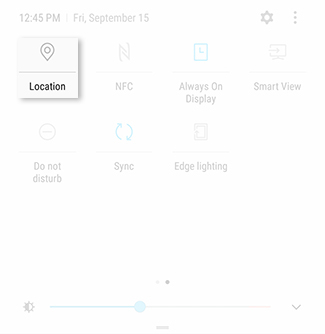 Note: By turning on Location, your current location will automatically be monitored and you’ll be able to use apps like Maps at your convenience. 1. 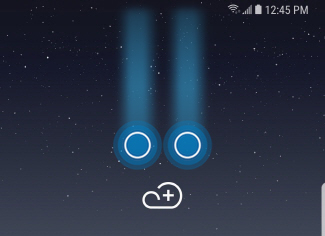 To open the Quick Settings Panel, using two fingers, swipe down from the top of the screen. Turning on your location is recommended, but if you wish to turn it off, you can do so at anytime. 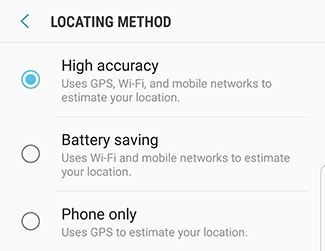 Note: Turning off your location will prevent GPS apps from operating. 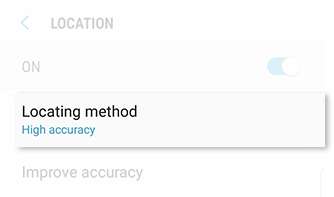 • High accuracy: Uses GPS, Wi-Fi, and mobile networks to estimate your location. • Battery Saving: Uses Wi-Fi and mobile networks to estimate your location. • Phone only: Uses GPS to estimate your location.